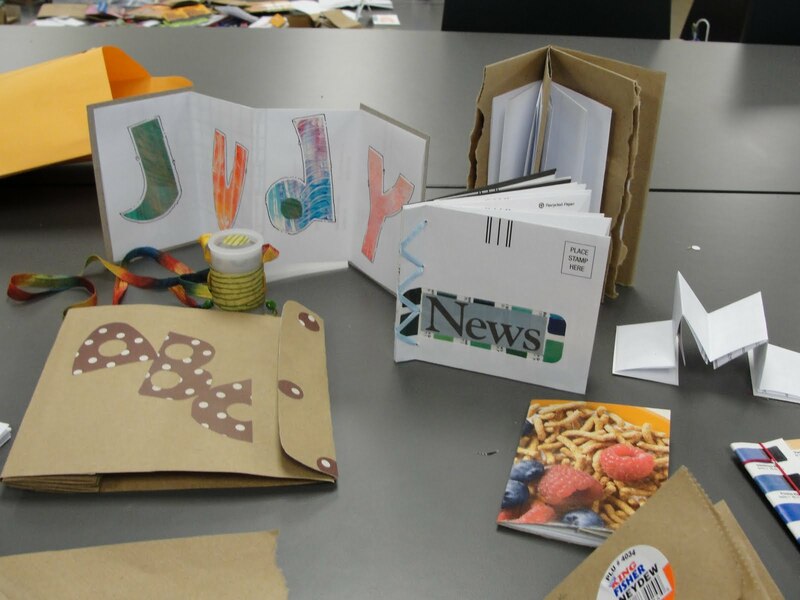 I had a wonderful time at the workshop I taught for the University of Utah Book Arts Program in Salt Lake City. 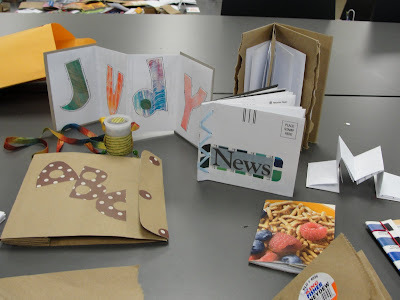 Twenty-five teachers from all grade levels and interests plus three great studio assistants, Becky, Mary, and Laura, came together for two days of bookmaking with recycled materials. The atmosphere was lively and energetic and there was lots of sharing. Lauri taught us another way to make "pling" (plastic string) from plastic grocery bags, Brent shared some of his great bookmaking ideas, Becky showed us a variation on the Who Am I? book, Claudia taught Liz how to write her name in Hebrew, and everybody helped make it fun . That's what's so great about making books—so much pleasure along with the potential for so much learning. Here are photos of some of the books that were made.